Combining nutrition, biology, chemistry, and behavioral health to design and administer health, nutritional, and wellness programs in industries and settings as diverse as athletics, hospitality, education, and federal nutrition programs. Understanding nutrition, especially nutritional content, can have a remarkable impact on our health. Educating the public about the benefits of nutrition, and the various ways healthy living can improve our well-being, is the focus of the BS degree in nutritional sciences. The nutritional sciences major blends biological, chemical, and behavioral sciences to help health professionals, administrators of nutrition and health promotion programs, and the general public better understand and translate the science of food into policy and practice. Nutritionists and nutrition scientists apply their knowledge to help businesses offer employee wellness programs; assist food systems administrators and engineers involved in food innovation and technology; and oversee government programs addressing food insecurity and population health issues. Part of the Wegmans School of Health and Nutrition, the major offers a challenging curriculum that prepares students with an in-depth understanding of nutrition as an important moderator of health. Students are well prepared to apply to professional programs, such as medical school, enter graduate school for further biomedical studies, or provide expertise in nutrition to the general public in a range of diverse settings (e.g., sports fitness programs, hospitality industry, nutrition writing, and federal nutrition programs). An effective nutritional scientist is skilled in working with people to address behavioral issues, teach clients about nutrition and health properties in food, and offer nutrition supervision. The major offers a comprehensive curriculum that provides a solid foundation in nutritional sciences as well as leadership skills that include communication, problem solving, team dynamics, and interaction with the community. Prepare students to apply nutrition principles, concepts, and practices to domains aligned with health and wellbeing. Demonstrate ability to integrate science-based nutrition information and research into practice. Develop communication skills and professional behaviors for entry into professional practice. Apply principles of management and systems to deliver nutrition programs and services. Prepare students for successful application to graduate and professional schools or professional employment in health and nutrition careers. Demonstrate knowledge and skills for customer service including: development and delivery of information, products and services to individuals, groups, and populations. RIT/Rochester Regional Health Alliance: RIT is Rochester Regional Health’s official academic affiliate and Rochester Regional is the university’s official affiliated clinical partner. We work together to improve the quality and cost of health care delivery, and to demonstrably improve the health of the people of Western New York and the Finger Lakes. The alliance provides a primary network of health care opportunities for student work experiences (co-ops), practicums, and research. Our alumni include Dr. Judith Brown, author of a nationally used nutrition text; Dr. Penny Kris-Etherton, Distinguished professor at The Pennsylvania State University and winner of several award for research including dietary fats and health benefits of dark chocolate. Articulation with pre-medicine enables completion of all pre-med requirements. Faculty with strong teaching and research skills who have won awards for teaching and conducting research. They have presented at national and international conferences and routinely publish in peer-reviewed science and health journals. Inclusion of physical-focused assessment using a simulation laboratory. Cooperative education: The nutritional sciences program requires a 400-hour cooperative education experience in an industry setting related to food and nutrition. Co-op is paid, full-time employment in your field of study. Students do not pay tuition during co-op experiences. Students are required to complete two co–op experiences to receive their BS degree in nutritional sciences and the majority of students complete their co-ops in the summer. For transfer students possessing at least an associate’s degree, one co-op may be waived. Students often complete co-ops with job titles such as diet clerk, health/nutrition educator, nutrition assistant, cook, food service worker, prep cook/worker, and patient care technician, among others. A sample of co-op employers in the Rochester area includes Wegmans, Rochester General Hospital, Strong Memorial Hospital, Highland Hospital, St. John’s Home, RIT Dining Services, and Monroe Community Hospital. Students are allowed to complete co-ops in their hometown area as well as in other locations throughout the United States and while studying abroad. Beyond the classroom: Students engage in experiential learning with a variety of Rochester-based organizations. Study abroad: Success in today’s global society requires experience and leadership that drives education beyond traditional boundaries. RIT is committed to expanding opportunities for global education, international connections, work experience and cultural exchanges. Study abroad can fulfill a co-op experience, supporting a student’s desire to study abroad while satisfying graduation requirements. For information on study abroad opportunities, please visit RIT Global. 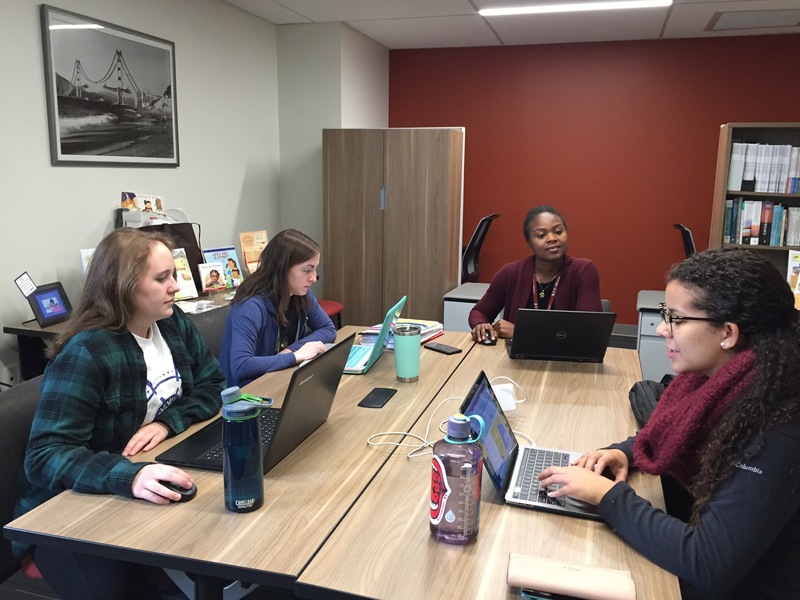 The nutritional sciences department offers faculty-led international experiences such as studying the Mediterranean diet in Croatia and travel to conduct a research project on childhood anemia in Ghana. Careers in nutrition are diverse, ranging from policy development, communications, and social and community services. You can choose to select electives to become eligible to sit for the Certified Health Education Specialist (CHES), a respected credential in health care education. You will also be well prepared to pursue graduate study for a career in medicine, allied health, or research. Note: The nutritional sciences major does not meet the educational requirements of the Academy of Nutrition and Dietetics that lead to eligibility to become a Registered Dietitian Nutritionist. Students in RIT’s nutrition programs have created a tour of calcium-rich foods for Imagine RIT: Innovation and Creativity Festival. RIT is offering a new BS degree in nutritional sciences for students who want to apply nutrition concepts and principles to careers outside the clinical domain of registered dietetics nutrition. This is an introductory course in contemporary nutrition issues. This course covers the study of specific nutrients and their functions, the development of dietary standards and guides and how these standards are applied throughout the lifecycle. Students learn to analyze their own diets and develop strategies to make any necessary dietary changes for a lifetime of good health. Current health and nutrition problems and nutrition misinformation will be discussed. Required career related experience. Employment within the food and health industry monitored by the Office of Cooperative Education and approved by the faculty in the Nutrition Management program. Designed for the student to become exposed to career opportunities in the industry and gain skills and contacts essential to securing a dietetic internship and becoming a Registered Dietitian. Three co-ops are required for graduation and students typically complete them during the summer. Students must complete at least one co-op in a healthcare environment and at least one co-op in the food industry. Freshmen begin co-op the summer following their first year studies. This course prepares Dietetics and Nutrition students to counsel and train clients and to give effective and persuasive presentations. Topics include communications methods, learner/audience analysis, basic learning theory, developing counseling and training materials, as well as designing, making, and evaluating individual and group presentations. As part of the course each student is required to design and give a presentation and to design a self-training module/lesson. An applied course for the Nutrition Management major regarding the nutritional needs throughout the life cycle. Emphasis is given to nutrition during pregnancy, infancy, early childhood, adolescence, young and middle adulthood, and the elderly. Practicum in facilities delivering nutrition services to these age groups is required. Practicum hours by arrangement. This is a capstone course requiring students to integrate the skills and knowledge from other courses by conducting research into an area of profession interest. The project incorporates gathering primary data, assessing and summarizing the data, and drawing conclusions from the data. Secondary goals include project management, working with organizations that will support the primary research, experiencing Human Subject Research (HSRO) processes, gathering secondary research, and meeting RIT’s Writing-Intensive-Program requirement. This class offers students in the Nutrition Management major an overview of controversial and accepted alternative diet therapies, basic medicine guidelines, and vitamin/mineral supplementation. Study of current nutrition issues and delivery of food and nutrition services in the community. The course is designed to allow senior level students to acquire skills necessary to deliver services in the public health and private sector markets. Individual practicum in community facility is required and arranged by the instructor. All students will also participate in industry related research to identify innovative and effective delivery strategies for nutrition services and will have the opportunity to accomplish peer dissemination of their previously completed individual research project at an industry conference. This course is the first course of a two course series. Review and application of biological metabolism and interrelationships of nutrients, hormones, enzymes, and other biochemical substances in humans. Modification of nutritional intake to meet nutritional needs altered by diseases and stress as well as use of alternate methods of feeding (enteral/parenteral) to meet nutritional needs is discussed in depth. This course emphasizes the practical applications of medical nutritional therapy for use with patients/clients. + Cooperative Education (NUTR-499) in the third year is optional. It is required only if co-op in the first and second year is not completed. 3 years of math is required. Courses in liberal arts, sciences, and math. Science courses required for nutritional sciences major. Please note: The dietetics and nutrition program has articulation agreements with the following institutions.